Maybe that's why so many editors and publishers will tell you exactly what they want to see in your query letter (it's often right there on their website). And believe us, if you want your manuscript kicked to the curb faster than you can say 'boo,' then just test this theory. Some agents/publishers want to know all about your background and history. Others will let your manuscript speak for itself. Some want to know what your vision is for your book. Others might find it deeply disturbing to hear you offer your personal marketing plan for your book (as if!). It all depends on who you're dealing with. Just remember, it's important to be flexible. It's even more important that you do your homework and find out exactly what your potential agent or publisher is looking for from you. 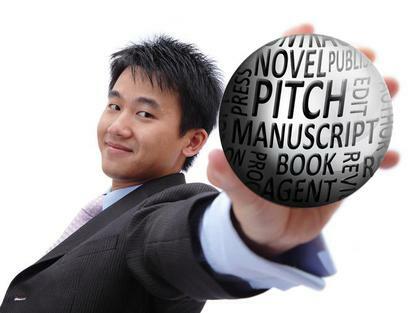 If you think you've got your manuscript pitch polished to perfection, think again. There's really no such thing. The minute you write the perfect pitch for one agent or publisher, it's time to move on and start again. Whether you're submitting a query letter to an agent, or directly to a publisher, the fact is nobody wants to read your one-size-fits-all letter of introduction.